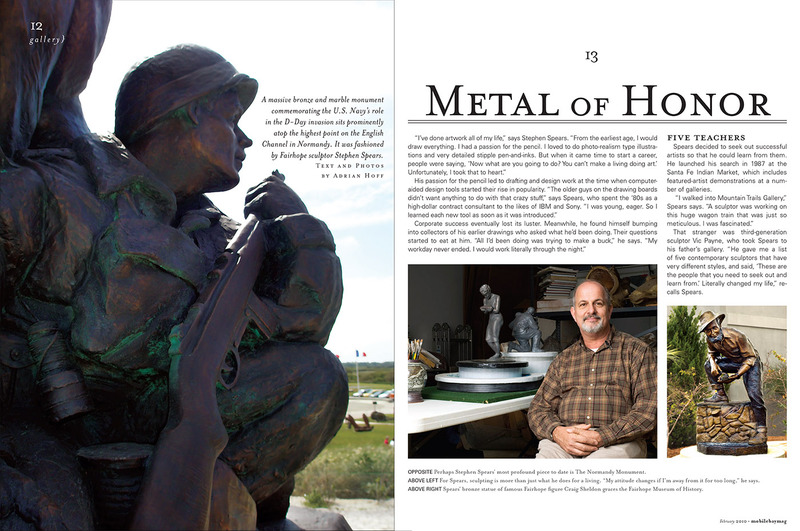 The U.S. Navy D-Day Monument, Normandy Beach, France / Stephen Spears Sculptor. Gallery article: Metal of Honor. 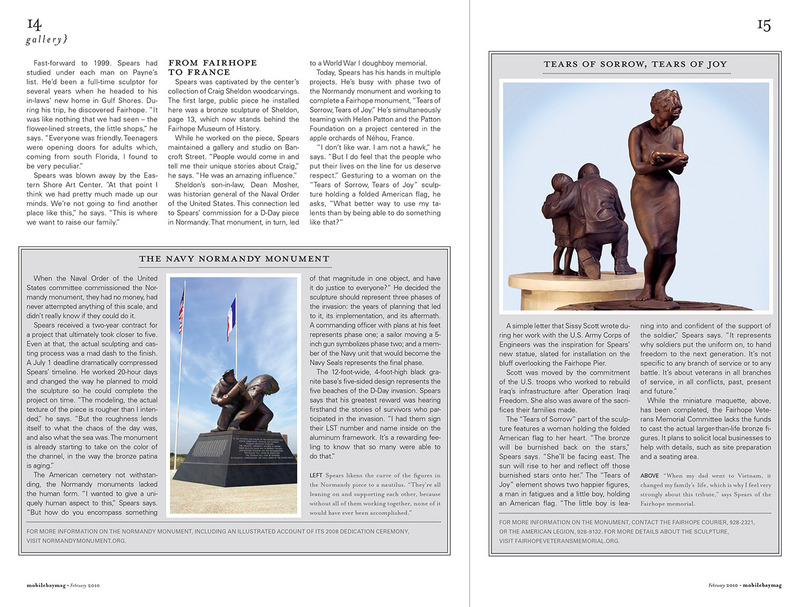 Text and photos by arts writer and photographer Adrian Hoff. Published Mobile Bay Magazine, February 2010.